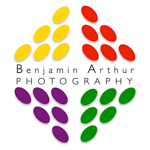 Marrakech Event Photographer - Benjamin Arthur Photography. If you are looking for a Marrakech event photographer, here’s why I can help you. I would be absolutely thrilled to join you as your next Marrakech event photographer. Just fill out the contact form here or get in touch via email or telephone (details below). I’ll be happy to see what we can do together. I aim to respond promptly, with a quote that is in line with your budget expectations.